Click on image to add to cart. 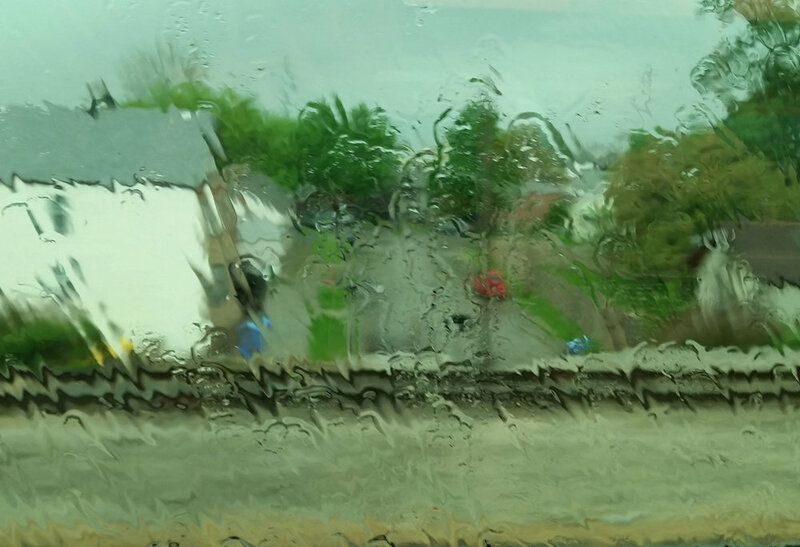 A day lit deluge engulfed the passenger car as the commuter train ambled slowly along the elevated tracks. 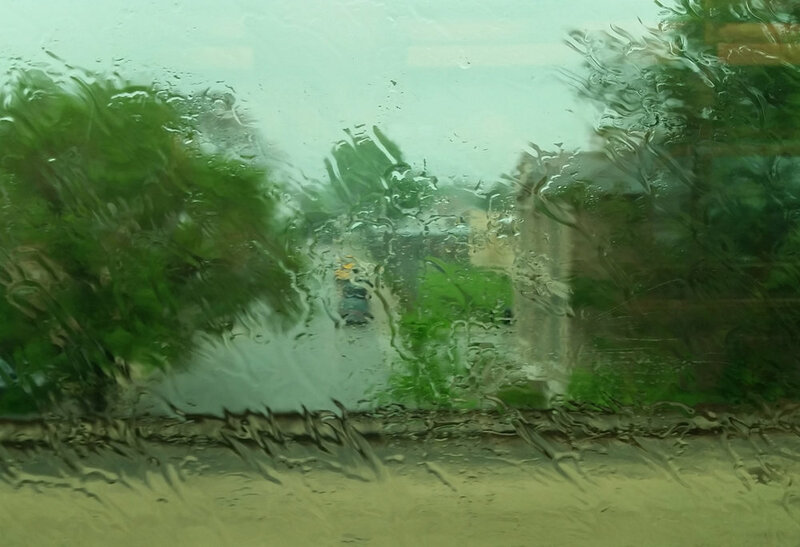 Drips and drops were foregone as sheets of water cascaded the windows and created a sensation of being underwater. The resultant view of passing tracks and urban neighborhoods was a mirage – a mere vision of a painter creating watercolor work. Much peace, love, happiness ........ and art ....... from us to you.